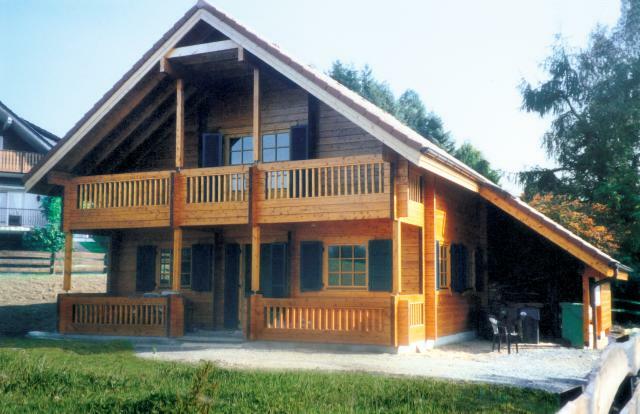 For our log houses we use only the highest quality, polar pine . The trees used are between 90 and 120 years old. Because of the extreme atmospheric conditions they grow very slowly, which means the polar pine develops a special red colour, a dense structure and even, symmetrical growth. The logs are of primary importance to us: They provide protection, a healthy indoor climate and give our houses their distinctive look. We attach great importance to offering a variety of log profiles together with top-quality materials and workmanship. We always produce our logs with tongue and groove joints, in order to control natural cracking and to ensure above-average wind-proofing and an accurate fit. “Thermo wall” – can be fitted either inside or outside –conforms to Building Regulations (structure: log wall – insulation – timber frame construction – high-quality log panelling) guarantees real savings in energy and money.